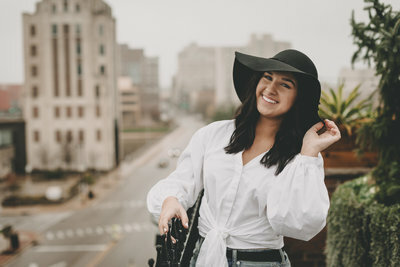 Stacy (without the “e” because “e’s” are eww…) was one of the most chilled out brides, planning her wedding around when her hubby-to-be would be coming back to the states from Brazil to live with her permanently… and everything went flawlessly! I had eagerly been waiting for her wedding since I knew Stacy would be the embodiment of the vintage beauty meets boho glam vision that I just ADORE. 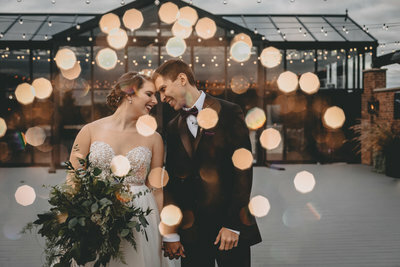 With wild bouquets and a rooftop ceremony, this wedding was an absolute dreamboat and I still can’t believe that I was lucky enough to be Ramon + Stacy’s wedding photographer. Honored, you two… truly honored. 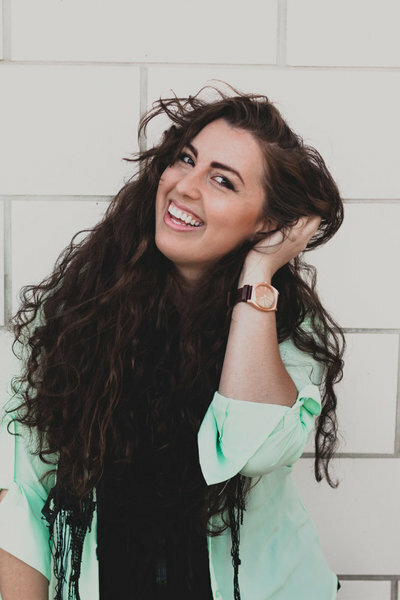 The story of how Stacy and I met is really all thanks to her sister, Savannah, whom I have known since our Rock Valley College days (woo Golden Eagles!) where we both studied art and later went on to Northern Illinois University to continue the artsy fartsy schtuff. Savannah always said that I would photograph her wedding one day, but I always took her words with love and grace knowing that anything could happen years later and the odds of me really having the honor of standing by her side on her wedding day were slim. Well let me tell you, Savannah NEVER FORGOT! We had stayed friends and years later, I photographed Savannah’s wedding in northern WI, and Stacy was right there by her side as her MOH. I later went on to photograph Stacy + Savannah’s brother’s wedding… you might remember Sean + Renae’s wedding, too! (Fun fact, Renae OFFICIATED Ramon + Stacy’s wedding, so sweet!) So honestly, to say the Cussen family has been anything but family to me would be an understatement. Now, it was finally Stacy’s big day and I couldn’t have been more excited. Can I just start by saying that this lady’s style is off the chain? 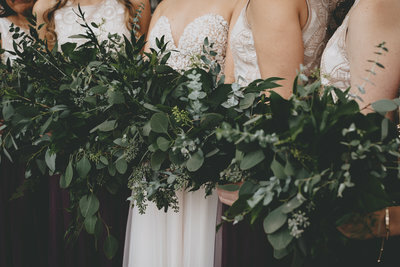 I mean really, her two-piece wedding gown was absolutely jaw-dropping and covered in stones and gems… her shoes, to die for… and her earthy rich bouquet of greens was just the icing on the cake that set off her entire look. Oh, and Ramon and his men looked SO dapper as well! 😉 Speaking of Ramon, he and Stacy had a “first look” without the look and oh my goodness was it the sweetest thing (just look at his expression when he and his bride-to-be held hands before the ceremony). 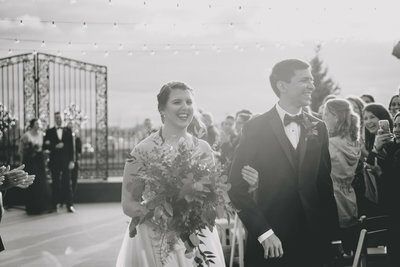 Future SJ Brides, I can’t stress enough how much I love first looks (or “first moments”) because they take away all of the pressure and nerves that a wedding day can bring on! With the ceremony over and the happy couple married, it was time to party! 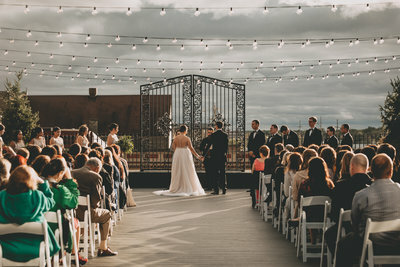 After the incredible dinner from Abreo (no lie, it was sooooo gooooood), we continued the party on the rooftop for Ramon + Stacy’s first dance where the party rocked and everyone danced the night away. Ramon + Stacy, congratulations again on your incredible wedding… thank you, from the bottom of my heart, for allowing me to be a part of your most precious day. It means the world to me. I wish you both the most amazing of marriages + the happiest of ever afters. A big thanks to all the vendors who helped make this wedding possible! Incredible job!